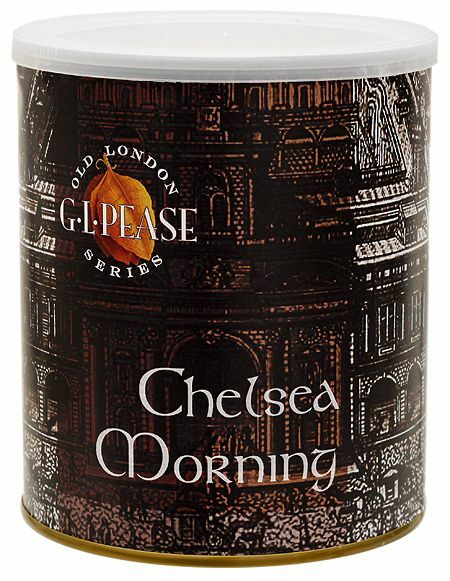 Greg introduces his new "Old London Series" with Chelsea Morning. Comprised of a variety of sweet red and yellow virginias, fragrant orientals, a measure of rich Cyprus Latakia, and a pinch of L.A. Poche's brilliant Acadian perique. The leaf is blended in layers and briefly pressed to integrate the flavours before being sliced and tumbled into short ribbons. The final form is between a broken-flake and a ribbon-cut tobacco. It's easy to pack, easy to smoke, and is a great blend with which to start the day with the morning cup. The flavours are lively and engaging, with a subtle fruitiness and gentle smokiness that wakes up the palate.